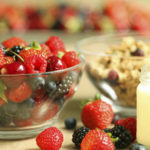 This tip is courtesy of Dr. Weil on Healthy Aging – Your Online Guide to the Anti-Inflammatory Diet. Alter how cholesterol is metabolized in the body, making it less likely to oxidize which is the real concern of cholesterol as it relates to plaque and heart disease risk. Lower blood pressure and risk of clot formation, thus reducing the risk of stroke and heart attack. Combat respiratory infections such as common colds and sore throats. Reduce fungal or yeast infections. Eating raw garlic after it has been chopped or mashed releases the herb’s full potential. That’s because the active component, allicin, forms only on contact with air. I suggest chopping garlic and letting it sit for 10 minutes to get the full health-giving potential. Garlic loses its antibiotic properties when you cook or dry it, and commercial garlic capsules do not preserve the full activity of the fresh bulb. 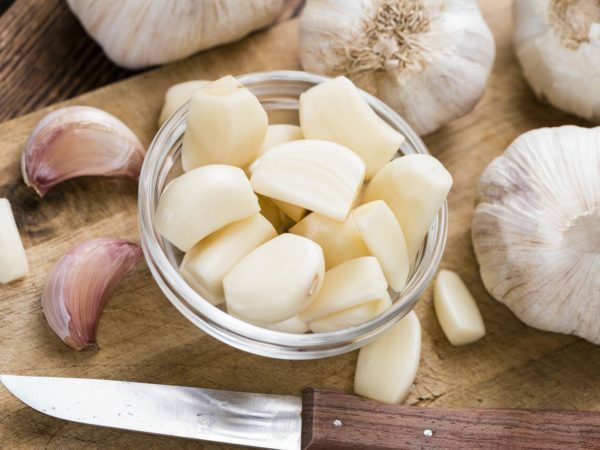 You can make raw garlic more palatable by chopping it fine, mixing it with food and eating it with a meal, or cut a clove into chunks, allow to sit for 10 minutes and swallow them whole like pills.